Nigeria’s Minister of State for Petroleum Resources, Mr Ibe Kachikwu has announced a date when importation of fuel into the country will cease. Nigeria will stop importing refined petroleum products by 2019. 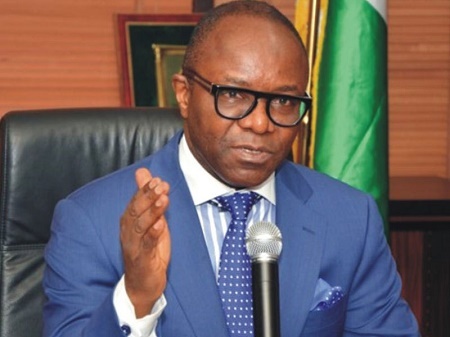 The Minister of State for Petroleum Resources, Mr Ibe Kachikwu, said on Tuesday in Abuja at a public hearing on the review of petroleum pricing template for Premium Motor Spirit organised by the House of Representatives. He said that within two years, the Federal Government revived refineries that were non-functional to contribute about eight million out of over 20 million litres of petrol consumed in the country daily. He explained that the Federal Government initiated a model which attracted foreign investors to partner with the Nigeria National Petroleum Corporation to repair the country’s refineries within the two years period. He said, “This has consistently served as a target for this government so that by December 2018, NNPC must be able to deliver on some of the terms given them, one of which is to reduce petroleum importation by 60 per cent. “By 2019, we should be able to exist completely on the importation of petroleum products in this country. The minister said that Nigeria must also have the capacity to stop exporting crude oil. According to him, selling crude oil is not different from selling agricultural produce in an unprocessed manner. He said, “The world is leaving that, every member of OPEC is leaving that because of the prizing, volume and market challenges is now shifting from selling crude to selling refined petroleum products. He further said that the ministry intended to create an enabling environment that would promote local refining of crude oil. He said, “The issue is not giving licences to illegality, the issue is how do we ensure that we create an investment environment that pulls individuals from illegal creek activities to legal business activities. “We are looking at modular refineries, about 60 licences were given out just before this government came in and none of that was utilised because it requires a lot of money, land and crude security. “But now we are going out to identify refineries, get individuals who can build refineries on the same platforms where our refineries are and identify some key specific modular refineries backed up by foreign investments working with state governments. On the possibility of reducing the fuel pump price, Kachikwu said there was no padding in the petroleum pricing template for PMS currently sold at N145 per litre. According to him, 71 per cent of the cost is for the production and freight, 18 per cent balance is covered by depot charges and retailers margin. He said, “In other words, the storage tanks, the amount you get by verge of operating a filling station takes another 18 per cent, the output of those is already taking you to roughly about 90 per cent. “The transportation is less than 10 per cent; we probably can do better; the templating is an insignificant 1 per cent or 2 per cent but that’s not where the problem is. “There are two key elements in the template, how much you buy it is internationally fixed, it is not a Nigerian issue the cost of foreign exchange is a monetary policy issue. “So, at the time we did the template the Central Bank of Nigeria monetary policy was N245, that was the basis upon which we calculated the pricing, today N305 is the exchange rate.